"Buddar!" Link called out. "Buddar!" Where is she? He wondered, growing more and more worried with each passing moment. Why would she run off, and right at sunset! "Hey! Look!" Navi said, watching something off in the trees. Link glanced over by the trees, a familiar sparkling blue light was fluttering her tiny wings rapidly in attempt to fly over to them. "Link!" The fairy panted, then her wings stopped and she fell from the air. Link quickly caught the tiny fairy before she hit the ground. "Lyra?" Link asked, instantly recognizing the usually cheerful fairy. "Where&apos;s Buddar?" Lyra panted heavily. "Buddar..." She gasped. "Was taken... By a woman...."
She coughed a little, her wings dropped from exhaustion. 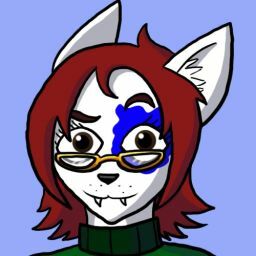 "She had... Blue hair..." Lyra gasped. "And pink... Eyes... She said... Her master... Wanted to see... Buddar...."
Link&apos;s eyes widened. "Who is her master?" He asked urgently. "She..." Lyra panted. 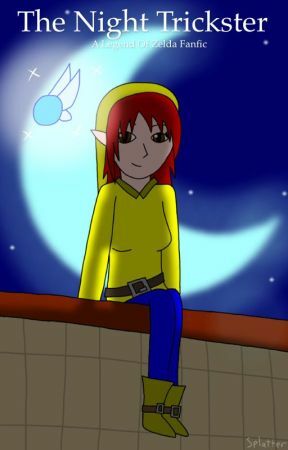 "Didn&apos;t... Say...."
Navi fluttered around Link. "Hey!" She squeaked. "We should go search in the direction Lyra came from!" Link nodded, then looked down to the tiny, exhausted fairy in his hands. Lyra fluttered her wings and got off of Link&apos;s hand, then slipped into his cap. "Hurry," She chirped urgently. "Buddar is in serious danger!" Link nodded. "I know," He said. "But I&apos;m going to find her before she gets hurt." Then he took off towards the forest.